Mr Gafa is a former police inspector who also served in the Security Service. Angelo Gafa has been appointed CEO of the Malta Police, responsible for the administration of the corps. 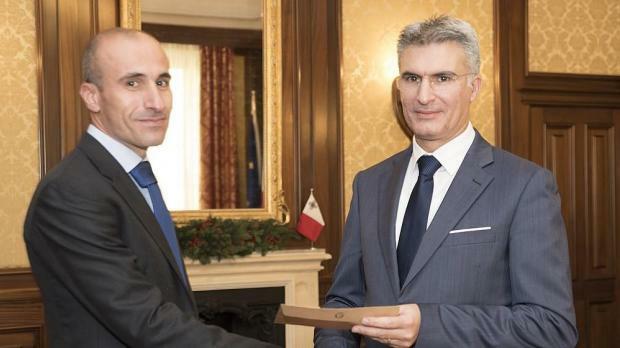 The letter of appointment was handed to Mr Gafa this morning by Home Affairs Minister Carmelo Abela. This is the first time that the Malta police have a CEO. He was selected after a public call. The Commissioner will remain responsible for investigations and general strategy. Mr Gafa served in the police force, mostly as an inspector, and recently also served in the Security Service. Before joining the police he was a lieutenant in the AFM. He hold a commerce degree from the University of Malta.